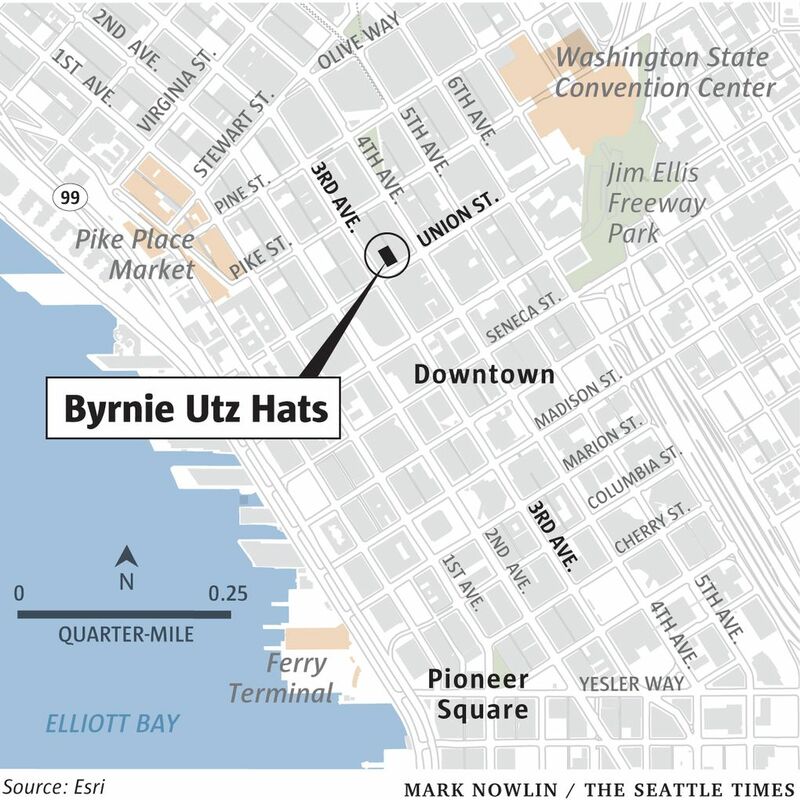 For 84 years, through multiple Seattle booms and busts, Byrnie Utz Hats has had your head covered. But apparently it, too, can’t weather the most powerful boom of all. The answer appears to be no. 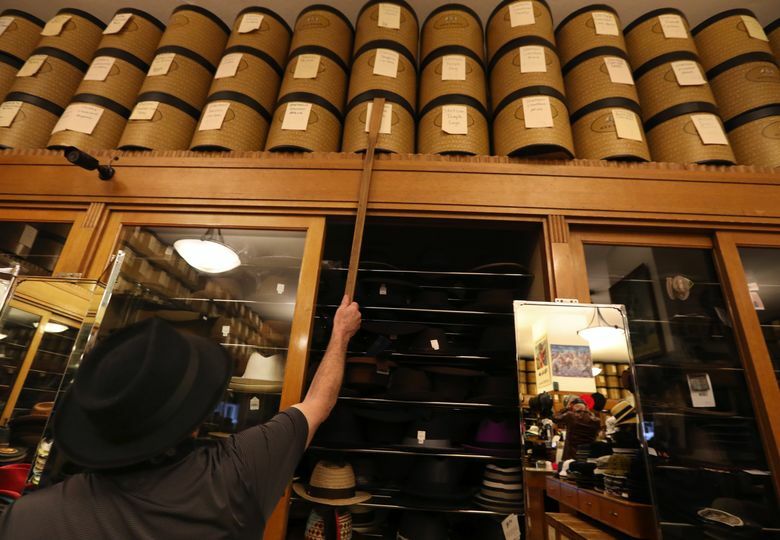 In what seems like chapter infinity in our chronicling of Seattle’s pell-mell change, the latest casualty of progress is going to be Byrnie Utz Hats, which is scheduled to be ejected in September from the store at Third and Union downtown it has occupied since 1934. “I’m sorry to be the bearer of difficult news,” the new owner’s property-management firm wrote, announcing it won’t be renewing the lease — or even extending it a few months through the holiday season. The stated reason is earthquake-retrofitting work on the building. 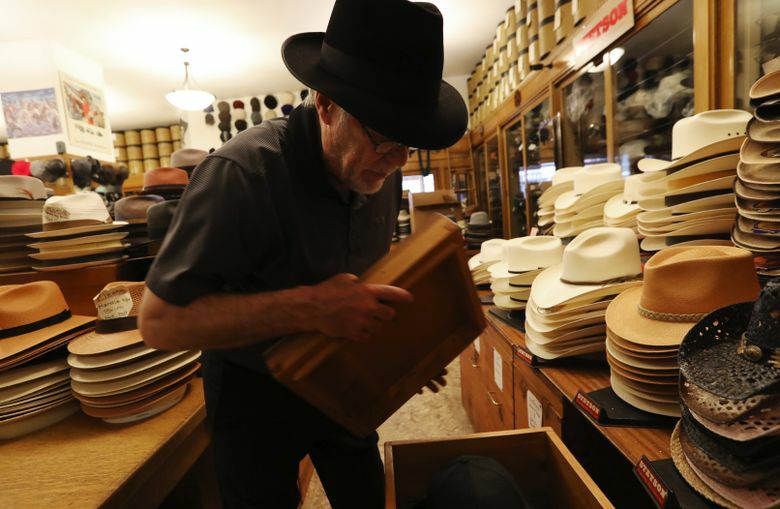 Though why that would give the permanent boot to a hat shop that has survived actual earthquakes, as well as no end of booms and busts across nearly nine decades, escapes Ferry. “I got the sense it’s a convenient excuse to get this old business out of here,” he said. How does a hat store exist anymore anyway? That signature 1961 style moment lives in infamy in hatter lore. It marked the end of an era when 90 percent of men wore hats. Of thousands of hatters in America in 1961, only 20 survived, Ferry says. “Hatter Holds On During Bare-Head Trend” was The Seattle Daily Times headline about West Seattleite Byrnie Utz’s store — 54 years ago, in 1964. 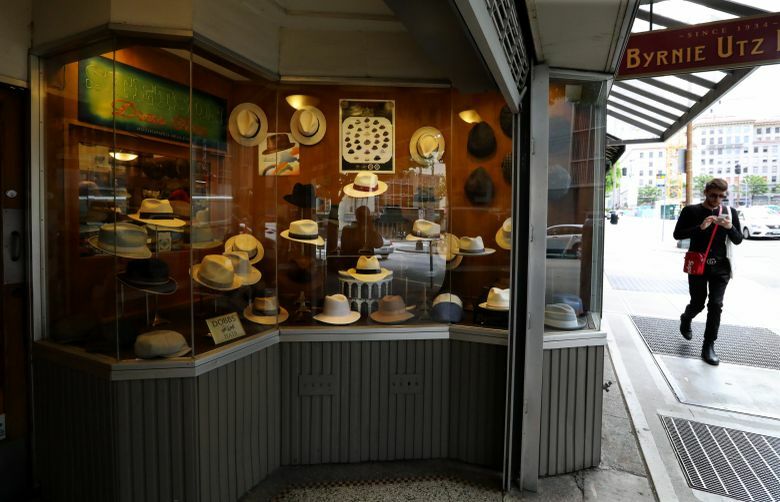 Somehow it’s still there today, selling up to 200 brims a day from the same pre-World War II spot in the same art deco building, complete with original built-in tiger-oak hat cases. 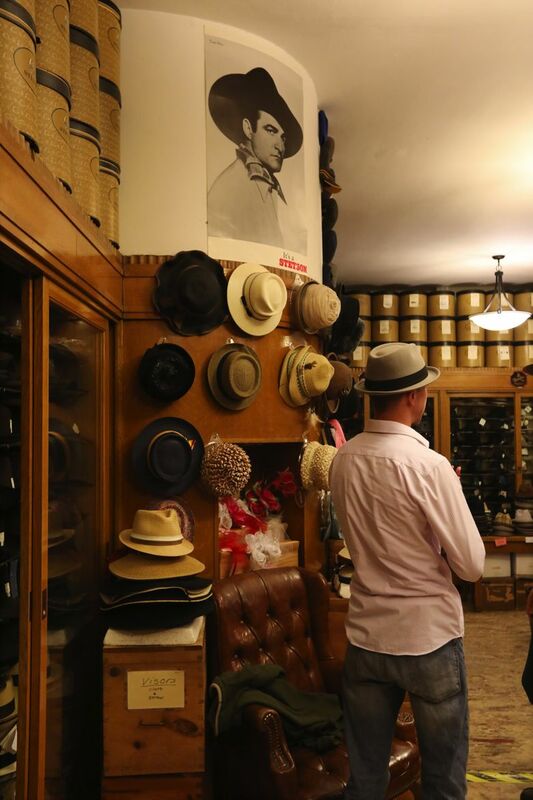 A few years ago, GQ magazine picked it as one of the seven best hat stores in America (it was ranked No. 2). 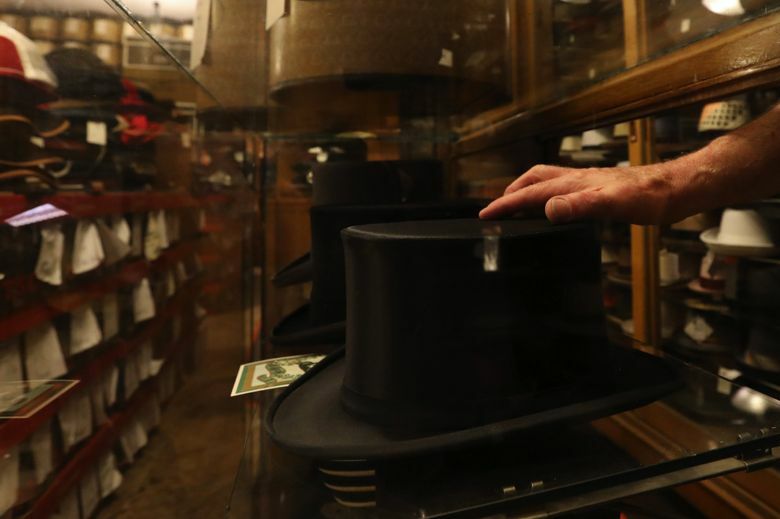 They don’t just sell you a hat — they teach you how to pick one up (never by the crown, by the brim), how to store it, brush it and steam clean it, too. “Never touch another man’s hat,” chimed in a man in a Panama hat, overhearing Ferry listing hat rules. It turns out hats are hot among the 18- to 25-year-old set. Not a question that apparently ranks high in the vertically-integrated investment management platform. Ferry said he plans to retire rather than uproot all the built-in woodwork and move to a new spot. 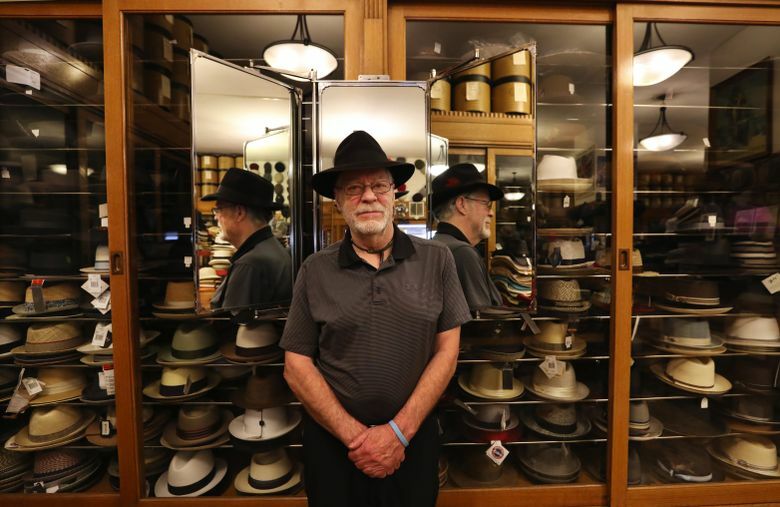 He’s trying to sell the business, but the new building owner said any new buyer couldn’t keep the hat store in its 84-year legacy location, either. 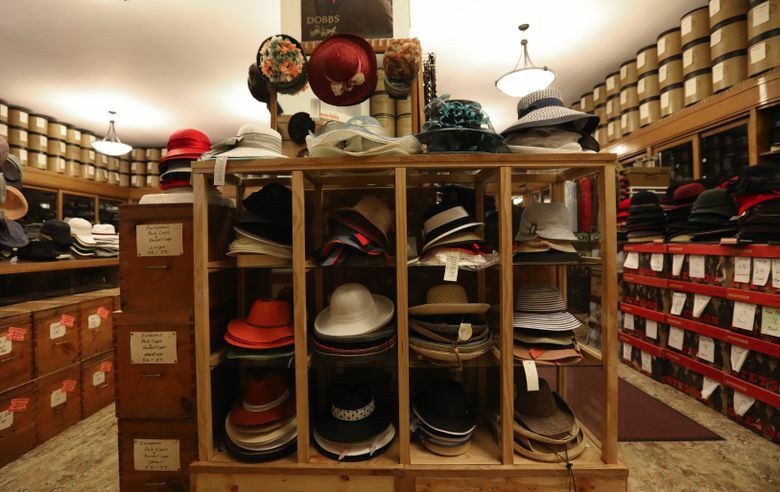 “It could be Seattle’s gotten too expensive for a hat store,” he said. Outside, kitty corner from the store, workers are building the Northwest’s second-largest skyscraper, for Amazon, a glittering glass tower shaped like a platform shoe. Don’t tech bros need hats, too? But I suppose they’d just order them online. 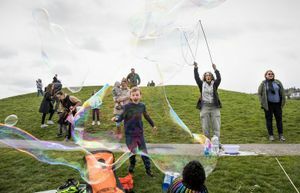 It’s yet another block on which the new Seattle and the old are converging, always with the same result.